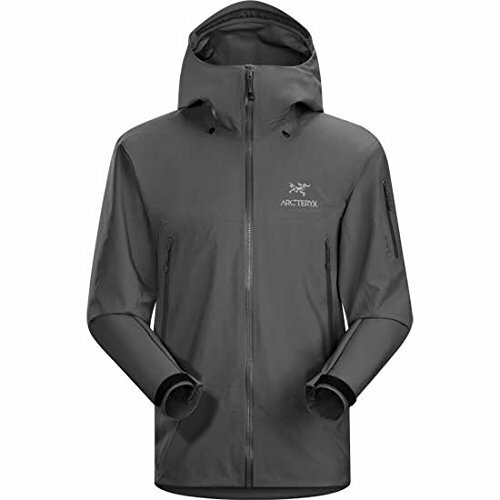 » Arcteryx Zeta vs Beta Jackets – Which Will You Love? 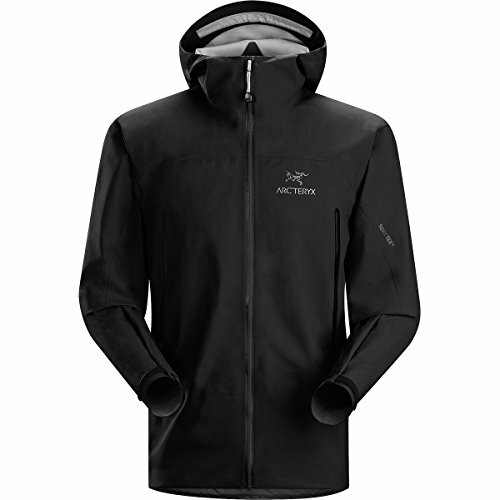 Arcteryx Zeta vs Beta Jackets – Which Will You Love? If you’re an outdoor enthusiast who loves exploring wild terrains, you know that wearing protective gear is an integral part of keeping you safe on your journey. When it comes to finding the right type of protective outwear, there are several companies who offer outdoor clothing products. One of the most renowned and trusted brands in the outdoor clothing industry is Arc’teryx. Arc’teryx is known for their unique custom-made textile materials which work very efficiently as protecting you from harmful elements. Arc’teryx offers a very robust product line that ranges from traditional outwear clothing to an array of accessories. Arc’teryx produces different product lines which are each designed with particular protection needs and environmental threats in mind. Two of their most popular product lines are the Zeta and Beta Arc’teryx jackets known for their reliable protection against extreme cold. In this guide, we’re going to compare the two product lines to determine which one comes out on top. Throughout the guide, you’ll find detailed information which will help you determine which product option is best suited for your needs. Today, the Arc’teryx Beta Jacket took the win due to its incredibly rugged material and ability to protect. In all honesty, it really doesn’t matter which jacket you decide to go with, Arc’teryx will not let you down. We love both of these jackets and highly recommend them to anyone who is braving serious weather in the most beautiful places on earth! Arc’teryx was founded in 189 by founders Jeremy Guard & Dave Lane, they started producing high-quality outdoor apparel in North Vancouver, British Columbia. The founders came up with the name Arc’teryx which is modeled after the word Archaeopteryx, the word Archaeopteryx is the name of the oldest known bird to found. The logo is also modeled after images that were taken of the bird’s skeleton so it’s safe to say that they were really intrigued by this historic bird discovery. Arc’teryx was originally founded under the name Rock Solid by sole founder Dave Lane at the time. The company began producing climbing gear as its primary target market and would later develop a full product line of high-quality outdoor clothing. Jeremy Guard became involved with the company in 1991 and made the official name change to Arc’teryx in order to reflect the company’s vision for a broader scope of outdoor products and apparel. Arc’teryx produces a wide range of outdoor products designed to protect you against an array of environmental threats. Arc’teryx products are crafted using custom textile materials that are designed by the in-house team over at Arc’teryx. Their products are known to last for a very long time and provide a wide range of protection options for all climate challenges. Arc’teryx puts an emphasis on functionality and practical outdoor wear creating different styles that meet the needs of their customers on a personal level. Arc’teryx products are very versatile and help you adapt to changing conditions when exploring unpredictable environments. Arc’teryx is dedicated to helping you stay protected against a variety of external threats which is why they offer way more than just jackets. The Arc’teryx product line features a wide array of different accessories and travel bags to help you perform at your maximum potential regardless of the situation. Arc’teryx products extend into a lot of different categories however the company does not offer any kids options, so you won’t be able to buy your little one any Arc’teryx products. Arc’teryx products are known for their high-quality materials and long-lasting build design which makes them long-lasting. Arc’teryx products are very robust and can add much-needed aid to any outdoor exploration you may be on. The Arc’teryx catalog was designed by professionals who have a passion for the outdoors and their intense dedicated is reflected within every piece that they produce. Arc’teryx offers a pretty comprehensive warranty on all of their apparel items which lasts for as long as the product’s lifespan. The default Arc’teryx limited warranty states that all apparel shipped with manufacturer defects and damage is covered. Arc’teryx reserves the right to deny or decline a warranty claim based upon their initial assessment of your garment. In order to file a warranty, claim you must ship the damaged apparel back to the Arc’teryx warehouse. Once your items are received, Arc’teryx will perform a thorough investigation into the cause of the damage. Products which are deemed to have been damaged due to consistent use or improper care procedures will be denied coverage under the Arc’teryx limited warranty. Before sending your product back to Arc’teryx, you must receive a return authorization number which is assigned during the warranty claim process. You are responsible for all shipping costs and logistics when sending your items back to Arc’teryx, you must also ensure that your designated shipping carrier provides a tracking number in order to ensure your items in the event that an accident occurs during shipping. From the time that Arc’teryx receives your product, it will take about 4-6 weeks for the entire warranty claim process to be completed. Depending on whether or not your warranty claim is approved, Arc’teryx will make a decision to either repair or replace your item. If they cannot repair or replace an eligible warranty claim item for some reason, a credit will be issued in the form of the original payment method or a gift card. If your product doesn’t qualify for protection under the Arc’teryx warranty, you still have the option of repairing the item at a cost that will be determined based on how much work is involved with the entire process. The Arc’teryx warranty is very comprehensive and provides lasting protection for your apparel items so that you never have to worry about being unprotected when adventuring the great outdoors. Arc’teryx Zeta Jackets are designed with versatility and adaptability in mind. The Arc’teryx Zeta product line combines the use of lightweight material and durable shells which protect you from external conditions. The Arc’teryx Zeta product line features mobility enhancement so that you can explore wild frontiers without any restrictions. The Arc’teryx Zeta product line also features all-around protection that allows you to perform a multitude of activities while being protected. The Arc’teryx Zeta product line uses GORE-TEX textile that provides a high level of comfort combined with technical capabilities. The Arc’teryx Zeta product line delivers a minimalist design approach that provides complete protection for your travels. Almost all hiking rain jackets come with a 2 or 2.5-layer design. 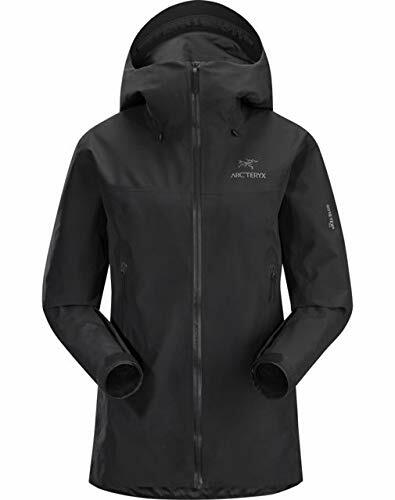 Arc’teryx Zeta LT comprises a premium-quality Gore-Tex triple-layer structure, i.e., a breathable and waterproof membrane packed between a lightweight and tough inner lining and outer shell. This type of construction provides you with hardshell-type protection from extreme weather elements. It’s the dubbed C-Knit technology, and a new inner liner that our experts were most excited about. The lining is thin, which makes Arc’teryx Zeta LT comfortable to wear and lightweight – features that are uncommon with a 3-layer shell. Other striking features are better breathability and a soft texture unlike many other puckered hard shell hiking rain jackets on the market. The most comfortable aspect of the jacket as per our experts is the next-to-skin comfort. The inside feel of most hiking jackets feels like plastic and is slippery, especially if you’re wearing a short-sleeve t-shirt underneath the jacket. Nevertheless, the same is not the case with Zeta. The slippery feeling is substituted by with smoothness. The C-Knit fabric absorbs excess moisture the skin more than any other hiking jacket on the market. 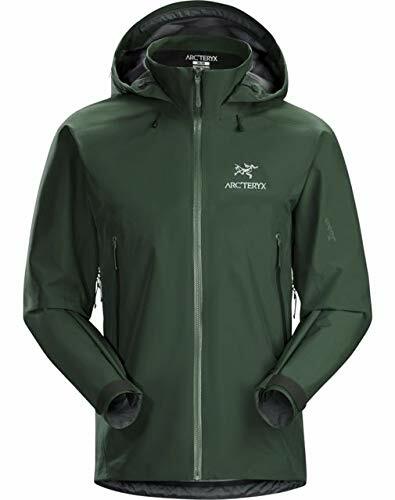 Unlike other 2.5-layer hiking jackets with a thin inner lining instead of a solid fabric, the 3-layer construction of Arc’teryx Zeta LT provides protection against heavy rains and strong winds without adding extra weight to the jacket. Even the hood is water-resistant. The jacket is made to tackle the worst alpine weathers, making it a good choice for places such as the Pacific Northwest, New Zealand, Alaska, Patagonia, and Scandinavia. During light winters, our experts hardly faced any issues with breathability. However, just like all other waterproof rain jackets, ventilation can be an issue when you’re exhausted. The zipper protects you from top to bottom and keeps you well-insulated. The premium inner material and cozy fit push warm air away from your skin to avoid “sauna effect.” Some sort of venting would have been good to reduce heat on warmer days. An efficient venting system would have been a great feature for strenuous hiking adventures. The first time our experts tried Arc’teryx Zeta LT, they were delighted to see how light it felt. On weighing the jacket, they found that men’s medium size weighs around 330 g. So, the jacket is not just lightweight; it’s ultralightweight. When it comes to the ease of use and storage, Zeta LT is not really a packable hiking jacket. It doesn’t come with a carry bag. However, if you really want to make it a carrying convenience, you can compress the jacket into a compact, manageable size. You can simply roll the jacket inside the hood and throw it at the back of your car or in your backpack. You’ll find a standard set of pockets on Arc’teryx Zeta LT. These include two pockets for the hands, and one interior pocket. The hand pockets are located a little higher to reduce disturbing pressure points below your backpack hip belt. However, some experts on our team found the hand pockets somewhat inconvenient. For your small-sized valuables, superior-quality weather resistant zippers on the hand pockets provide ample protection. Nevertheless, we would still recommend you keep your wallet or phone in the inner pocket. Zeta LT comes with Arc’teryx’s simple StormHood. It provides great coverage and protection. By simply pulling a cord at the back of the hood, you can tuck the hood fabric evenly around your face. Don’t worry; the adjustment won’t bother your field of vision. The cuffs of Zeta LT are a combination of elasticized and Velcro cuffs to provide maximum comfort and maintain an optimum weight. The angled cuff design allows better coverage for the hand while you’re hiking without using your hands. The water-resistant zippers are also useful. They come with a durable coating to prevent moisture build-up. The fit of Arc’teryx Zeta LT is trim, with the brand’s intention to add a base layer or mid layer on the exterior. Almost all our experts are thin and tall, and they loved the jacket’s athletic cut. Also, the jacket runs a little lengthier and comes with a drop hem that provides you with enhanced protection. Arc’teryx offers 4 distinctive Zeta jackets for men all which come in different style and protection levels. The Arc’teryx Zeta collection for men is perfect those guys who want serious protection without sacrificing functionality. TheZeta AR Jacket for men is crafted using a robust outer shell that combines GORE-TEX textile and GORE C-KNIT technology to provide maximum comfort. The Zeta AR Jacket is made using windproof and waterproof GORE-TEX fabric that provides a breathable layer of protection against the elements. The Zeta AR Jacket encompasses versatile materials that allow high levels of performance during a range of different activities. The Zeta AR Jacket is designed for hikers and trekking which is why the product provides such technical capabilities in addition to all around support. The Zeta AR Jacket also features Zeta’s WaterTIght technology in the zipper areas and had a built-in StormHood for maximum protection. The Zeta AR Jacket is a very robust piece that has design practically and real-world functional purposes that can withstand harsh cold. Theeta L ZT Jacket features a lightweight design that is made to be traveled with, the outer layer is made using GORE-TEX fabric that provides versatility and protection. The Zeta LT Jacket is crafted using waterproof materials that allow you to breathe easy and stay dry in damp environments. The Zeta LT Jacket also features GORE C-KNIT technology that provides an extra layer of support and comfort for your explorations. The Zeta LT Jacket features windproof and waterproof materials that allow you to perform at your best while staying protected. The Zeta LT Jacket uses a breathable fabric that is soft yet highly resistant to outside elements. The Zeta LT Jacket features a very minimalistic design that is reliable and flexible. The Zeta LT Jacket is perfect for those who want high-performance and durability locked into a nice tight package. The Zeta FL Jacket is a very compact and lightweight outerwear piece that provides full comfort and support. The Zeta FL Jacket is designed using an outer layer that is great for emergency hiking and the jacket uses custom GORE-TEX material. That Zeta FL Jacket is waterproof and provides a minimalist design that allows you to stay versatile and adapt quickly to changing environments. The Zeta FL Jacket also features a WaterTight front zipper that adds even more protection, the two hand pockets use RS sliders for easy accessibility. The Zeta FL Jacket is very practical yet functional pieces that provide full range of protection for you against an array of elements. 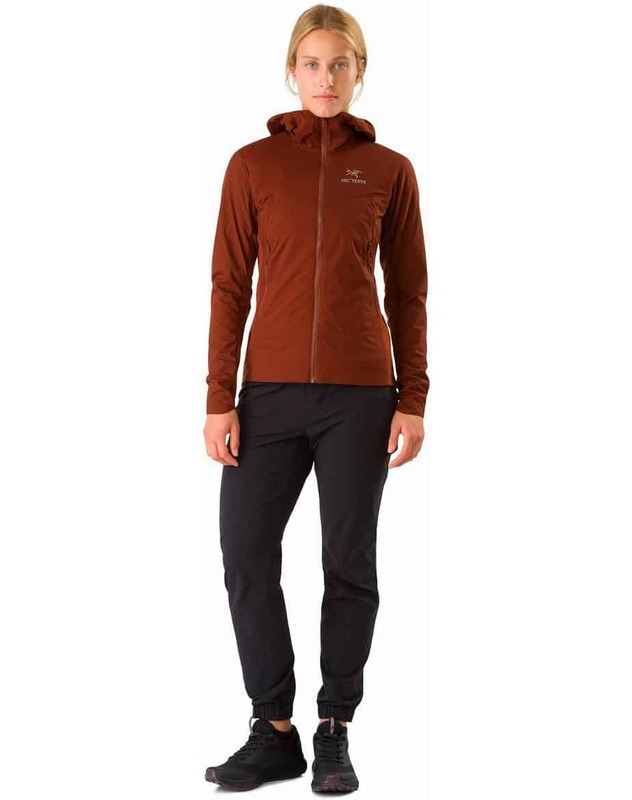 The Arc’teryx Zeta women’s jackets expand their great protective textile technology into practical pieces for women. The Arc’teryx Zeta women’s collection features stylish outdoor apparel that will you to conquer the world without any limitations. 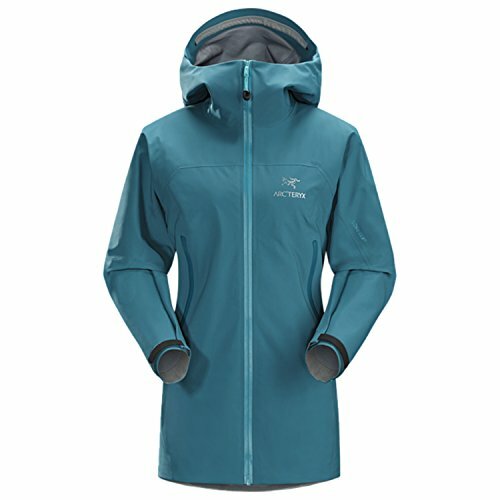 The Zeta AR Jacket women’s combines versatility and durable protective features that are functional. The Zeta AR Jacket women’s has a built-in StormHood that comes with an adjustable zipper for full protection. 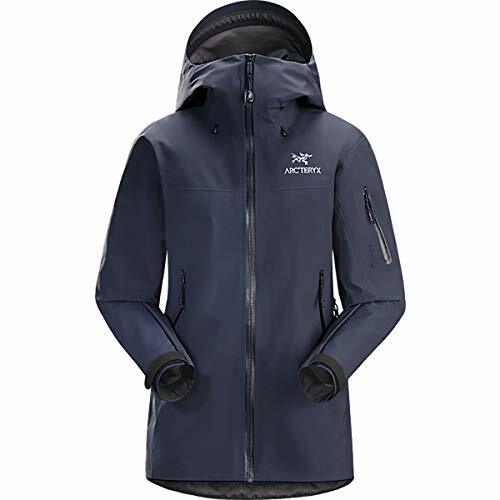 The Zeta AR Jacket women’s features a GORE-TEX fiber membrane that is woven onto a thin layer of circular knitting that is lightweight and breathable. The unique design of the Zeta AR Jacker women’s includes waterproof and windproof technology that protects you against the elements. The Zeta AR women’s Jacket is a highly functional and versatile outwear pieces that will help you take on tough climates with no problem. TheZeta LT Jacket women’s is a very lightweight and versatile piece that combines comfort and practicality. The Zeta LT Jacket women’s features a waterproof outer layer that is breathable yet highly durable. The Zeta LT Jacket women’s is crafted using GORE-TEX textile in addition to GORE C-KNIT backer technology which provides a subtle yet powerful barrier between your body and the environment. The Zeta LT Jacket women’s also has windproof capabilities that are woven into its core fibers, the jacket also has a very minimalist design that makes it easy to carry. The Zeta LT Jacket women’s is great for those who want flexibility and comfort packed into a jacket that is lightweight and functional. The Zeta FL Jacket women’s features a very minimalist design that combines mobility and protection. The Zeta FL Jacket women’s uses GORE-TEX textile that is highly durable and very resistant to outside elements. The Zeta FL Jacket women’s uses textile combinations that allow for high-performance capabilities and free movement. The Zeta FL Jacket women’s has waterproof and windproof capabilities that provide a mobile shelter of protection for you on your journey. The Zeta FL Jacket women’s is a very versatile jacket that is lightweight and highly adaptable to changing environments. The Zeta FL Jacket women’s has a built-in WaterTight front zipper that has two hand pockets which use RS sliders for convenience. Arc’teryx zeta products are crafted using custom textile materials which provide powerful protection against external elements. Arc’teryx zeta products are designed with waterproof fabric that allows you to traverse wet climates while remaining dry. Arc’teryx zeta products are also windproof which provides added mobility for your travels without restricting your movement. Arc’teryx zeta products come in a variety of styles and protection levels which allows you to get the exact fit every time. Arc’teryx zeta products combine versatile design features with lightweight materials for improved movement. Arc’teryx zeta products use GORE-TEX textile that provides an impenetrable layer of resistant against cold temperatures. Arc’teryx zeta products feature GORE C-KNIT technology that allows you to stay warm in extreme cold. Arc’teryx zeta products are very practical and functional which makes them great for skiing and snowboarding. Arc’teryx zeta products use technical design aspects to deliver an all-around protective later for all of your wildest explorations. Arc’teryx zeta products are very affordable so you can find the right jacket without spending a ton of money. Arc’teryx zeta products do not come in small children sizes so your little ones can’t access this product. Arc’teryx zeta products are designed for a wet environment where wind and mobility is a factor leaving out dedicated insulation. Arc’teryx Zeta products cater to a very niche oriented market sector which makes them hard to find in traditional retail stores. Outdoor and sporting stores carry Arc’teryx products however the Zeta line, in particular, may not always be available in your local sporting store. The best place to buy Arc’teryx Zeta products is online from their official website. Often times you’ll be able to find special deals and discounts on Arc’teryx Zeta from their official website that you won’t find anywhere else. The official Arc’teryx website also offers a detailed sizing guide that includes the exact measurements of the clothing. By using the official website you’ll have access to all of their products and detailed sizing information to help you make the right purchase decision. The Arc’teryx Beta product line was designed with maximum protection against severe weather in mind. The Arc’teryx Beta product line uses a combination of custom fabrics and unique design elements to create a very durable jacket that can withstand the toughest of challenges. Arc’teryx Beta products use GORE-TEX textile that provides a highly functional and protective layer against the outside elements. Arc’teryx Beta products come in a variety of styles designed to adapt quickly to varying environments while allowing you to stay efficient and mobile. The Arc’teryx Beta line was created with mountain exploring in mind which is why the products include built-in protection against heavy winds and water. Arc’teryx Beta LT is an excellent winter jacket. It provides ample protection against heavy snow, rain, and stormy winds. The jacket is made of Gore Tex Pro membrane and delivers solid triple-layer protection without being too bulky. The Beta LT jacket is smartly divided into different zones, with more breathable, and lightweight 40-denier Gore Tex Pro material used on most parts of the jacket, and a denser 80-denier Gore-Tex Pro material is used in exposed areas such as the hood, elbows, shoulders, and forearms. The multiple zones make Beta LT extremely suitable for severe weather conditions. Our experts tested Beta LT on different testing grounds including coastal snow, and the jacket did not even disappoint once. The completely taped seams and premium DWR coating beautifully repel snowfall and rain. The hood provides great coverage. When it comes to breathability, our experts scored Arc’teryx Beta LT 8 out of 10. They tested the jacket for breathability during skiing, harsh weather conditions, strenuous hiking, and on descents. And, each time they comfortably sailed through the activity without any overheating or sweating. Arc’teryx Beta LT surpassed the expectations of our experts. Each detail on the jacket narrates a different story. From smart mapping of the material to a consistent 1.6 mm seam, each element of the jacket balances the weight. The jacket endured rough usage, and wear and tear without any issues. The highly-exposed areas of Arc’teryx Beta LT are covered with 80-denier Gore Tex Pro for added durability on the shoulder areas and arms and making the jacket resistant to abrasion from the straps of your backpack. Not only the 80-denier material, but the 40-denier material also enhances the durability of the jacket. 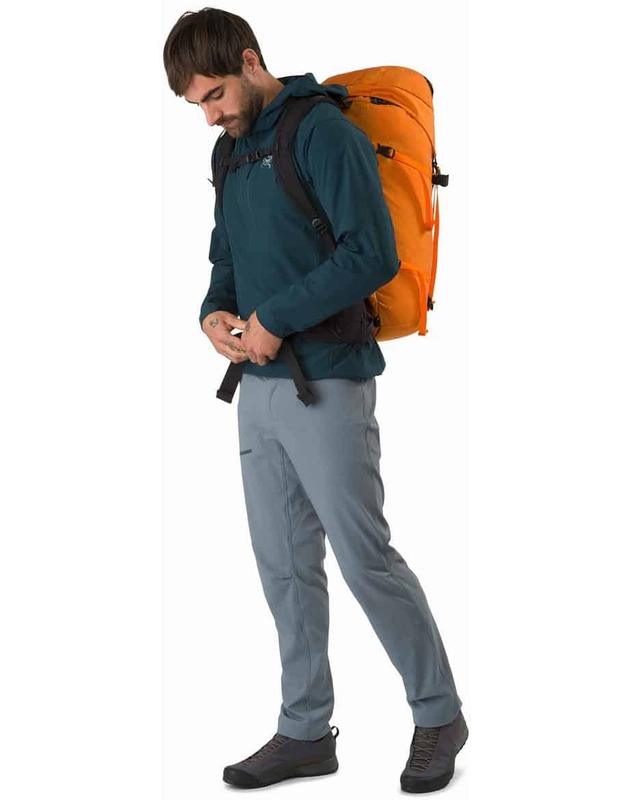 Men’s medium size of Beta LT weighs approximately 459.2 g. Therefore, as compared to many other hard shell alpines, Arc’teryx Beta LT is lightweight. However, it’s heavier than Arc’teryx Alpha FL. We sincerely hope a future update reduces at least 50 g. Nevertheless, the existing weight doesn’t bother the all-day comfort. In fact, the hood which comes with a laminated brim, several pockets, an airy torso, pit zips, and microsuede lined collar add a touch of comfort to the jacket. If you want to pack the jacket and carry it in your backpack, you can easily roll the jacket inside its hood into a clean, 1.5 L package to maintain the neatness and tidiness. Storage is another useful aspect of Beta LT and suits its multi-sports utility. The jacket comes with two spacious hand pockets that can be easily accessed even while wearing a harness or backpack. Unlike Zeta LT, they are well-placed and can easily accommodate items such as maps, goggles, phone, power bank, etc. A tiny internal pocket in the chest region is useful for storing small items like your keys, earphones, paper money, etc. When rock climbing, mountaineering, or skiing, an adjustable hood is all you need to brave severe weather, and the DropHood that comes with Beta LT perfectly does the job. The hood is helmet compatible and comes with an additional collar to add protection. The hood is large enough to easily accommodate Airbrake goggles and Oakley Mod 5 helmet without any movement restrictions. Not only this, but the laminated brim on the hood keeps snow and rain away. You can easily access the adjustment tabs and manipulate them even while wearing your ski gloves. This can come in handy during very low-temperature conditions where removing your gloves can cause a frostbite. When compared to Beta LTs StormHood, the adjustability and size are the same. However, it leaves a huge opening around the face when completely tied down trapping snow and water. The DropHood’s collar is soft and protects your chin. It also stops moisture from getting inside your jacket. However, the protection provided by StormHood is greater. When compared to Zeta LT which comes with a “trim” fit, Arc’teryx Beta LT comes with a “regular fit” and is roomier. Some experts on our team, especially those who’s very thin found it very baggy around the chest area. Nevertheless, everyone appreciated the extra space during extreme winters when they had to wear more layer underneath the jacket. There were no space constraints around the armpit areas. The articulated elbows and no-lift gusseted underarms easily allowed movement such as adjustment of the hood, climbing, etc., all taking place without lifting the jacket up the waist. However, our experts did not face any issues with the sizing. The jacket is true to size. One thing that was bothering a little was the hemline tied right around the waist. Also, Beta LT does not come with the harness hemlock that is typically found on all outdoor jackets. The Arc’teryx men’s line is a collection of adaptive and highly versatile jackets that provide a superior level of protection against the forces of nature. Arc’teryx Beta Jackets for men are perfect for combating high wind speeds and wet areas while maintaining functionality. Technical design features that provide practical mobility and protection are what the Arc’teryx Beta for men collection is all about. TheArc’teryx Beta SV men’s Jacket uses GORE-TEX textile fabric that is very resistant to water and wind. The Arc’teryx Beta SV jacket is windproof and waterproof providing complete protection against treacherous weather conditions. 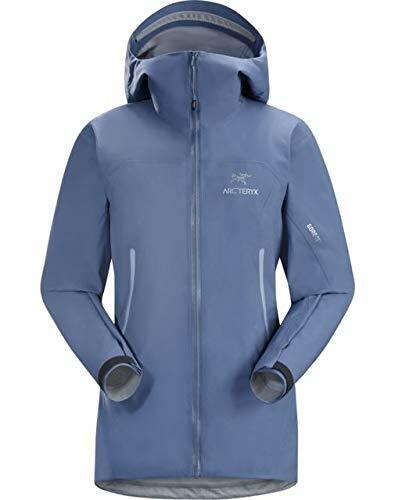 The Arc’teryx Beta SV Jacket is lightweight yet very durable and has breathable materials woven into its design architecture which makes it comfortable without sacrificing coverage. The Beta SV Jacket has a built-in StormHood that provides full coverage for your head and it can be closed even while wearing gloves. The Beta SV Jacket also has a pit ventilation system that allows you to keep your underarms dry and protected. The Beta SV Jacket is a refined creation that takes into account various aspects of outdoor exploring to deliver a product that is lightweight, durable, versatile, and protective. The Beta AR Jacket is a very complex yet functional jacket that provides technical protection against an array of elements. The Beta AR Jacket features GORE-TEX fabric that adds a layer of wind and water resistance even in severe weather conditions. The Beta AR Jacket also features a helmet compatible DropHood that is adjustable for even more protection and all-around coverage. The Beta AR Jacket is very robust in its protection range however it incorporates breathable materials which make it comfortable and adds mobility. The Beta AR Jacket is the perfect technical outwear piece for maximum movement, performance, storage, and protection. TheBeta LT Jacket was made with full coverage and mobility in mind, the jacket features high-quality GORE-TEX textile that is wind resistant and waterproof. The Beta LT Jacket features a helmet compatible StormHood that is adjustable and doesn’t interfere with your visibility. The Beta LT Jacket does a great job at synthesizing maximum protection and mobility into a lightweight jacket that is very durable. Arc’teryx hasn’t forgotten about those females who love exploring nature which is why they create Beta jackets for women also. Arc’teryx Beta jackets for women combine the use of GORE-TEX material and unique design elements to provide total protection against harsh environments. Arc’teryx Beta jackets for women are very durable yet lightweight so that you can move freely and adapt to changing elements with ease. The Beta SV Jacket women’s is crafted using durable fabrics that promote adaptability and resistance to outside factors. The Beta SV Jacket women’s features GORE-TEX textile that is waterproof and windproof so that you can traverse hazardous environments while staying protected. The Beta SV Jacket women’s features an underarm ventilation system that keeps you dry while performing a variety of activities. The Beta SV Jacket women’s is a high performance outwear pieces that is functional, durable, and lightweight. The Beta SV Jacket women’s is perfect for adventuring into changing climates that pose different elemental threats as the jacket has built-in technology to take on virtually anything you throw at it. The Beta AR Jacket women’s is a lightweight and travel-friendly outwear piece that provides adaptive protection. The Beta AR Jacket women’s is crafted using GORE-TEX textile materials in its design which provide a strong barrier against wind and water. The Beta AR Jacket women’s features a helmet compatible DropHood that adds even more protection against varying elements. The Beta AR Jacket women’s is perfect for high-performance situations that require versatility and freedom of movement. The Beta AR Jacket women’s uses breathable fibers which allow you to remain comfortable under strenuous amounts of physical exertion. The Beta AR Jacket women’s is great for those who want a lightweight jacket that provides total protection and functionality. The Beta LT Jacket women’s incorporates a functional design with a lightweight feel and maximum protection. The Beta LT Jacket women’s features an adjustable StormHood that is helmet compatible and it provides added protection. The Beta LT Jacket women’s also features GORE-TEX textile that adds windproof and waterproof capabilities to an already versatile jacket. The Beta LT Jacket women’s features a trim fit that flows with the natural curves of your body to promote high performance and breathability. The Beta LT Jacket women’s is the perfect option for those who want full protection and maximum coverage. Arc’tryx beta products are very robust and allow you to adapt to changing environments with ease. Arc’teryx beta products use GORE-TEX textiles to provide a lasting layer of powerful protection against the elements. Arc’teryx beta products are windproof so that you can maintain maximum mobility in harsh winds. Arc’teryx beta products feature built-in StormHoods that can be adjusted to fit your needs while wearing gloves and a helmet. These StormHoods also provide an extra layer of protection for you against harsh climates. Arc’teryx beta products are waterproof so you can traverse wet climates and stay dry during the process. Arc’teryx beta products feature breathable materials that are high functioning which allow you to perform various activities while being able to move and breathe freely. Arc’teryx beta products are designed for high performance and versatility which are great for those who participate in physically demanding outdoor activities. Arc’teryx beta products are lightweight so they don’t add any extra pressures on you while exploring but also provides a solid barrier of protection against potential threats. Arc’teryx beta products use Arc’teryx essential materials to provide functionality and practicality to your outdoor exploring activities. Arc’teryx beta products come in various style options which makes choosing the right fit super easy. Arc’teryx beta products are quite expensive which may rule out some options for you however the items are worth the money. Arc’teryx beta products do not come in children’s sizes so your little one won’t be able to experience their protective abilities. Arc’teryx beta products are less technical than the zeta products however they offer more complete coverage. Arc’teryx Beta products cater to a very niche oriented market sector which makes them hard to find in traditional retail stores. Outdoor and sporting stores carry Arc’teryx products however the Beta line, in particular, may not always be available in your local sporting store. The best place to buy Arc’teryx Beta products is online from their official website. Often times you’ll be able to find special deals and discounts on Arc’teryx Beta products from their official website that you won’t find anywhere else. The official Arc’teryx website also offers a detailed sizing guide that includes the exact measurements of the clothing. By using the official website you’ll have access to all of their products and detailed sizing information to help you make the right purchase decision. Both the Arc’teryx Beta and Zeta line of products provide an insane amount of protection and coverage against the elements. The Arc’teryx Zeta line is catered toward those who want comfort and technical functionality while the Arc’teryx Beta line is geared more towards full protection and high performance. The Arc’teryx Zeta line provides dedicated waterproof zippers and convenient adjustment of the hoods contained on the jackets. The Arc’teryx Beta line features helmet compatible storm hood that can also be adjusted with gloves. While both products provide great protection and versatility, the Arc’teryx Beta line is the winner of this battle. 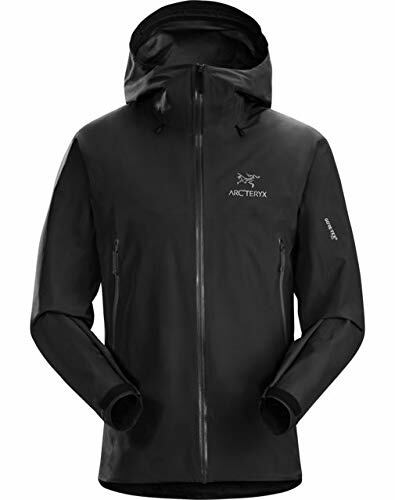 Arc’teryx Zeta products are designed for mobility and adaptiveness for changing climates and challenges while the Beta line provides more fixed full range coverage. The Arc’teryx Beta line also features thicker designs which work at keeping out water and wind at a much more efficient rate than the Zeta product line. Both the Arc’teryx Zeta and the Arc’teryx Beta line use GORE-TEX textile to provide maximum coverage, however, the Beta products do a much better job at incorporating this material in a practical way. The Arc’teryx Zeta line is great for people who want breathability, mobility, versatility, and rugged protection. The Arc’teryx Beta line is great for those who want solid elemental protection and robust performance options to tackle outdoor conditions that are more relentless. 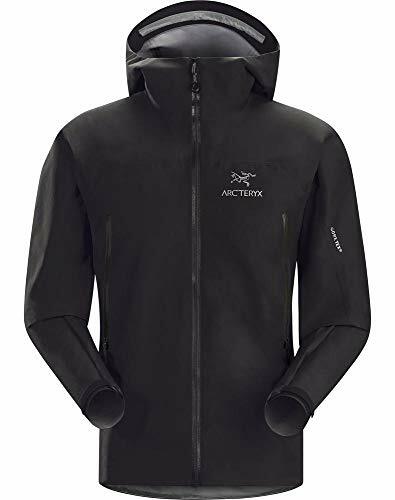 Both product lines offer a very high level of protection and comfort however the Arc’teryx Beta jackets seem to do a better job at maximizing efficiency and resiliency. 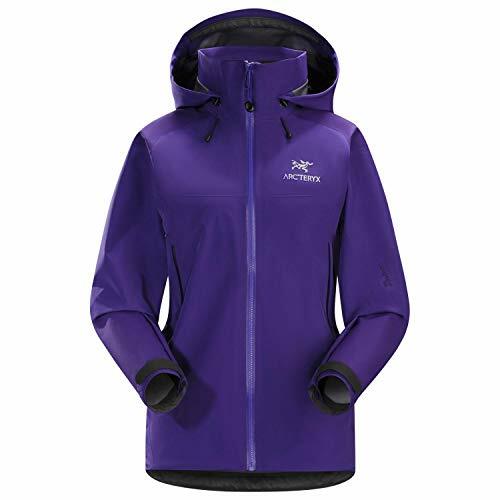 Arc’teryx Beta jackets come in a variety of styles, sizes, and colors which makes the product line very versatile and customizable. The gear friendly attitude of the Arc’teryx Beta line is represented in its helmet compatible StormHood and glove-friendly hood adjustments. Arc’teryx Beta products provide extreme coverage and improved performance enhancements to anyone who wears them. Arc’teryx Beta products were designed with very harsh environments in mind, their use of GORE-TEX textile in combination with Arc’teryx essentials material is what makes them so effective at resistant the elements. Arc’teryx Beta products are available in men’s and women’s configurations which allows anyone to get the protection they need. The Arc’teryx Beta line of jackets is great for serious outdoor explorers who need a mobile fortress on their back, the intricate design and compounded protective layers make Arc’teryx Beta jackets nearly impenetrable. Arc’teryx Beta jackets give you the ability to take on high winds, wet environments, and extremely cold temperatures with confidence. Arc’teryx Beta jackets are all about high-performance activities and robust total protection that keeps you safe from potentially harmful outdoor conditions. If you want a versatile jacket that offers complete security and functional design benefits, the Arc’teryx Beta line offers a wide selection of options for you to choose from. The Arc’teryx Beta product line consists of the most well designed and executed outwear protection that I’ve ever seen available. Not only does this jacket line protect you from the elements like no other, but it also looks great. If your goal is to stay warm and stylish this winter, look no further than the Arc’teryx Beta series!